Home » Transformers Movie » Transformers Movie Toys & Products » New Takara Listing Sheds A Light On The Third Movie Masterpiece Figure? New Takara Listing Sheds A Light On The Third Movie Masterpiece Figure? We are getting closer and closer to uncover the mystery of the 3rd Movie Masterpiece Figure. Thanks to a new Takara listing, a total curveball sheds a light on the possible identity of the aforementioned toy. Though previously speculated as Bumblebee, Mars seems to be the identity of Barricade while the yellow Camaro takes on the mantle of Saturn. 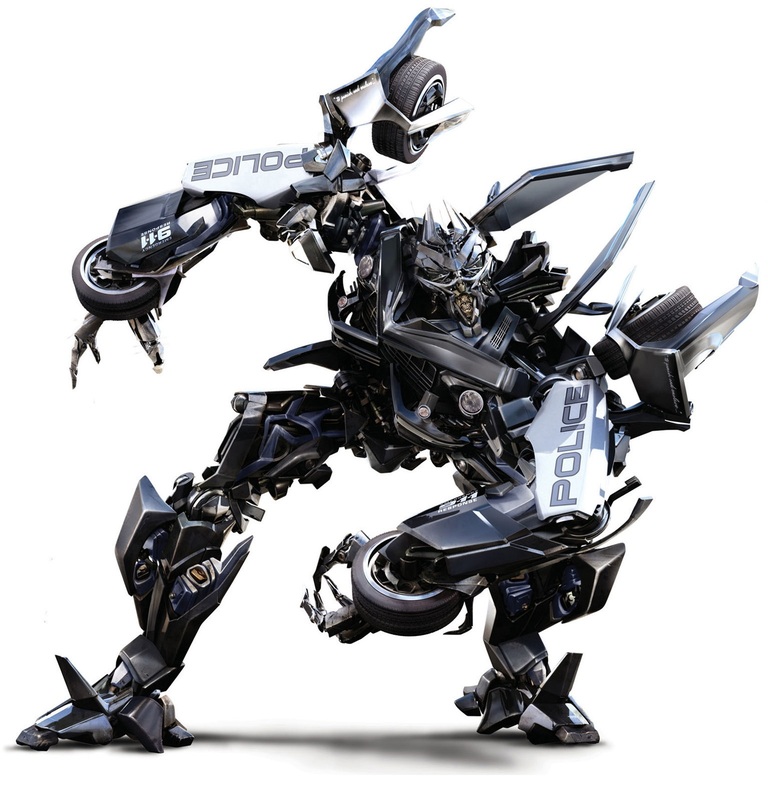 With Bumblebee and Optimus Prime revealed as two of the three Movie Masterpieces, the third is now deduced as Barricade. Of course this is all speculation with a little help from the process of elimination. But the puzzle pieces all seems to fit. 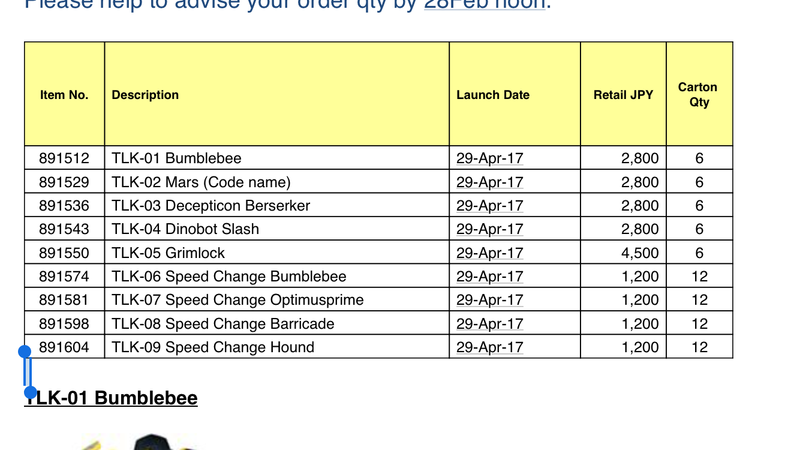 With a Deluxe Saturn slated for Wave 3 and a New-Mold Deluxe Bumblebee falling on the same wave helps the theory somewhat. However, we eagerly await for more official confirmation. 2005 Boards member catz was kind to relay this new information to us and you can take a look at the full listing, after the jump. What are the differences between Hasbro and Takara's Barricade? I don't see any. Outside of special releases like Jetwing Optimus Prime, the DOTM line was nigh identical to the Hasbro one. It seems this is the same route they're taking with TLK with the only improved decos being things like the exclusive Shadow Spark Prime. Yawn. Somebody wake me when Takara stops cheaping out and gives Voyager Nemesis Prime and shiny Steelbane. Its some Optimus Prime that is related to the new movie? Thats the Cyber Battalion Optimus, it's mainly available in countries with smaller dispoable income.. It's been out for a few years. There are only 8 figures to be revealed at the moment. You think they will have the other half and maybe more? Nope. Just Berserker, AOE Bee, Grimlock, and Barricade. Of course they are. Takara conpletly shafted their entire Legends line for 10 months just for movie product. Takara is always behind when it comes to releasing product. They have always been that way. Most of their stuff is quality though. Just that Takara has 8 figures to be revealed and Hasbro currently has 16 unreleased figures. I don't understand how Takara has very little on TLK toys than Hasbro. Unless the coats have panel lines and are plastic/not flexible,or have a flabby/rubbery hood of the car,or have the coats partsform,probably no. The entire underside of the hood is covered in rubber plastic, and the hood is segmented into hard plastic sections that connect. The rubber is condensed in vehicle mode, and when the plastics sections are untabbed rhe rubber uncondenses. leaving space between each section and allowing it to be move like his coat. So basically kinda like a rubber layer covered in the vehicle kibble, to emulate it. Would Crosshairs be feasable as a Masterpiece figure? The coat bits would probably be a pain to engineer.